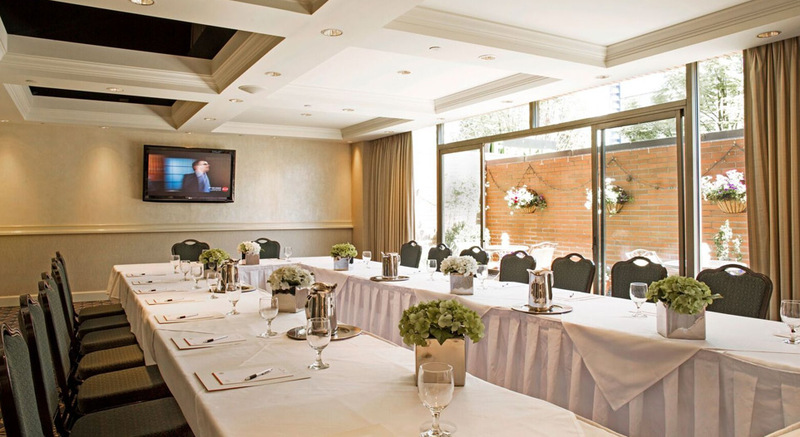 Host your next business meeting or reception in the heart of downtown Vancouver! 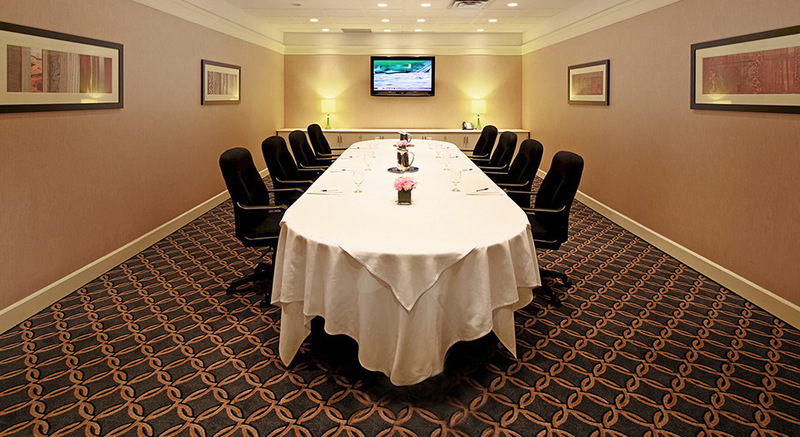 The Georgian Court Hotel offers four distinctive meeting room and conference facilities for your corporate meeting, wedding, or reception. Our dedicated team is ready to help work with you to craft a customized event that suits your plan and handle all the day-of details. The ideal space for a unique event! 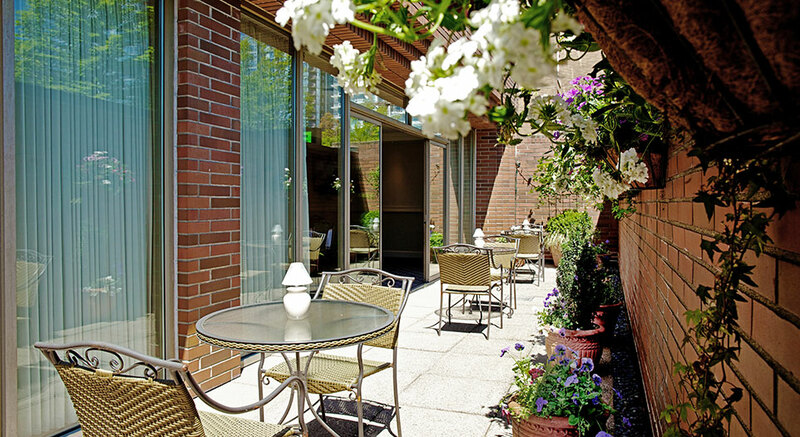 Host comfortable receptions, showrooms, or business meetings with natural light on this outdoor patio featuring sliding glass doors and nearby rooms for smaller work sessions. 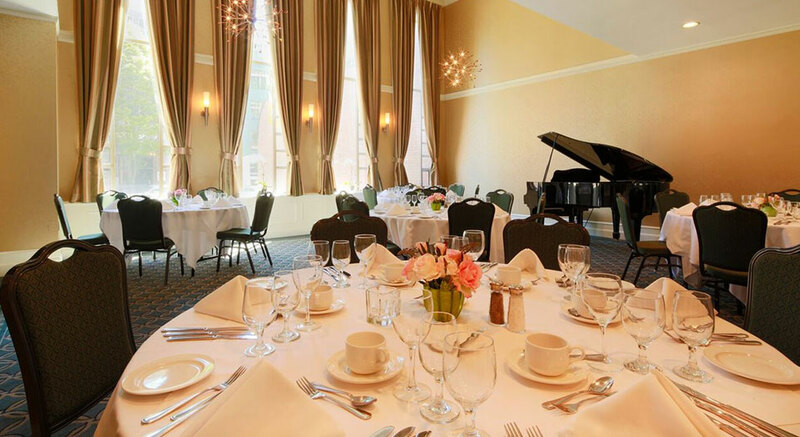 Our team of hotel event planners and caterers are onsite to give you peace-of-mind. Let us design an event with your budget and business – or social gathering – in mind. 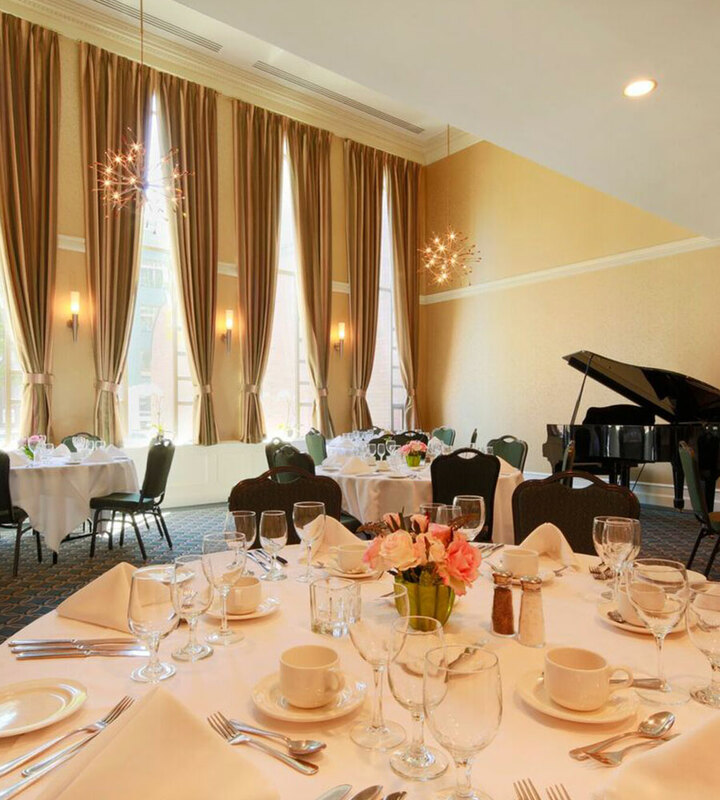 Contact our Sales and Catering Department at catering@georgiancourt.com or by phone at 604-609-2215 to start planning your event today. 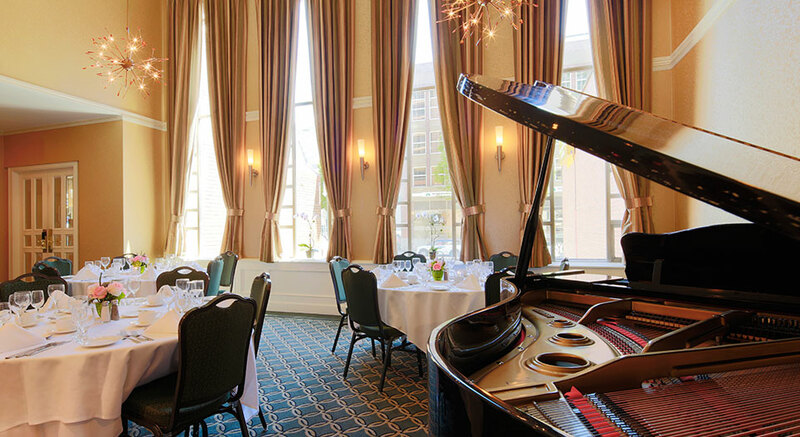 A rare find in Vancouver, our Club Room is spacious, airy and bright, featuring a baby grand piano, the Club Room is perfect for weddings and receptions. 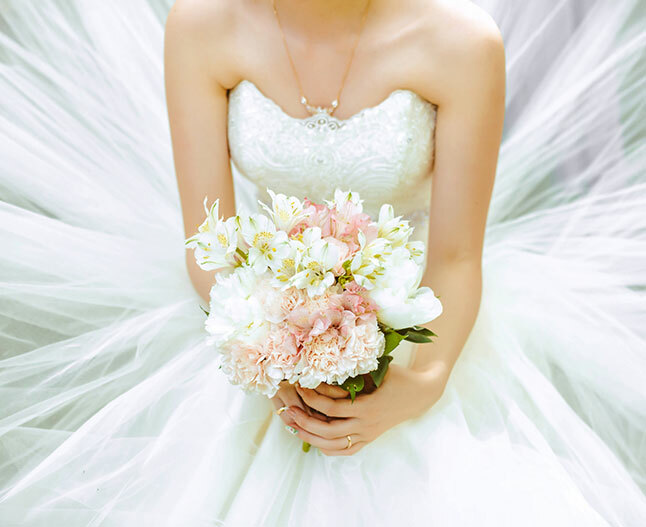 Plan your special day in exciting downtown Vancouver with sophistication and elegance. 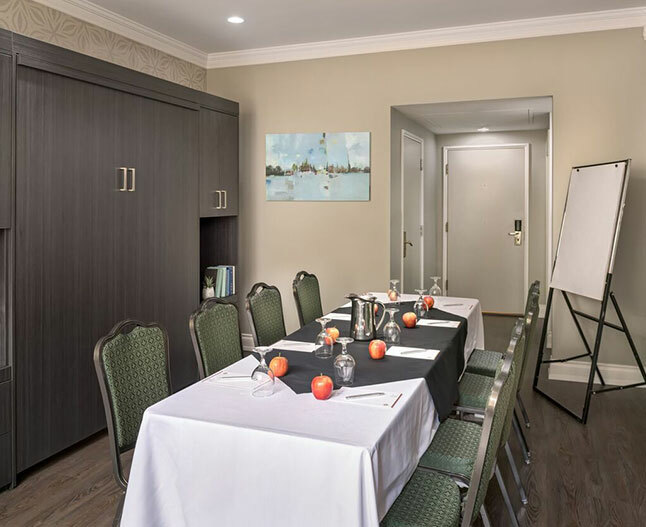 Classic and elegant workspace, this is an ideal room for small business meetings or cocktail receptions. 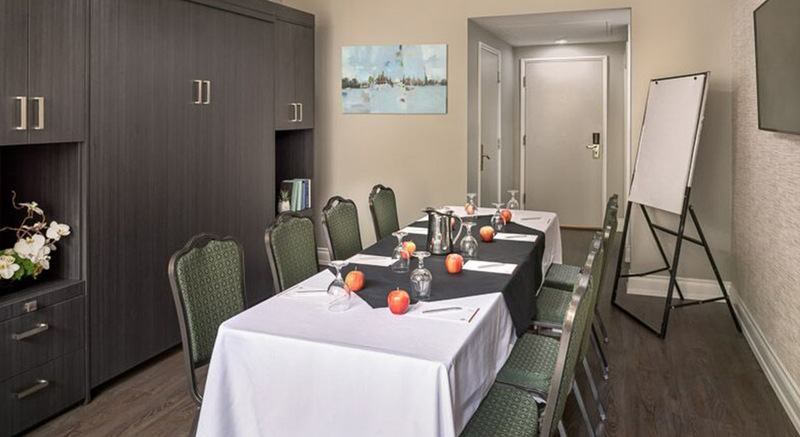 Room for 16 in a boardroom style layout and 12 in a classroom style layout. 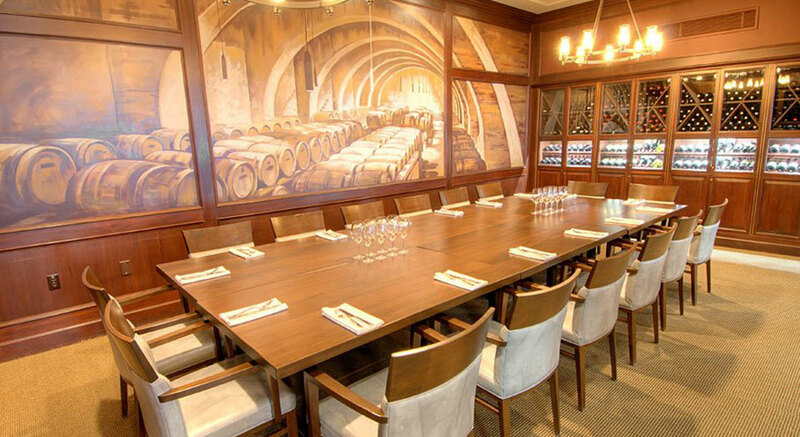 Featuring warm wood decor and situated in our hotel restaurant, Frankie’s Italian Kitchen, this wine-themed space is excellent for intimate receptions and banquets. 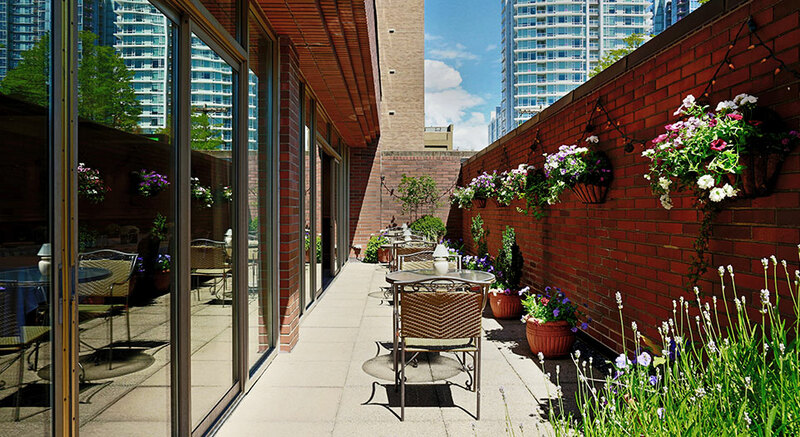 Our Mezzanine Suites sit in close proximity to our Mezzanine Terrace. 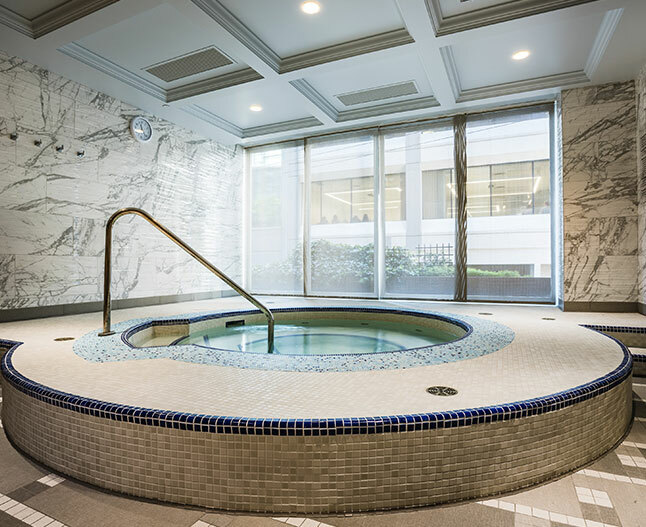 These rooms can be converted into functional and accessible small meeting spaces or breakout rooms. Everything you need for your perfect day!